Welcoming the Fall (Poem) | Mark Rickerby's blog AND (insert trumpets here) God's Sitcom – Messin' with Mark! More acutely than the changing of seasons. In the fall, changing leaves teach us how to grow old. In the winter, our loved ones help us ward off the cold. In the spring, hope blooms again and the spirit expands. In the summer, our hearts long for exotic, faraway lands. Where do we collect these fantasies? From post cards? Novels? Movies? And changed in ways that living required. The way we see the seasons. And so much is lost in their pursuit. But only the aching, insatiable emptiness that governs us all. Only hours after a meal, we are hungry again. It is this way with everything. And appreciate what we have. Nothing more than what we have. Something we must remind ourselves to do. “Yes . . . this was a good summer. And resolve to do later all that I hoped to try. The seasons don’t mean us any harm, after all. So with a joyous heart, I will welcome the fall. 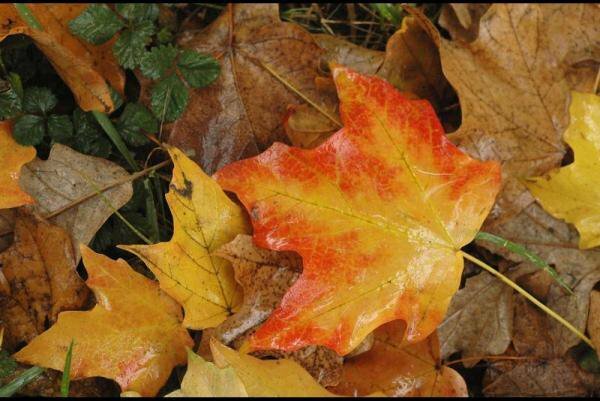 This entry was posted in Poetry and tagged autumn, fall, poem, poetry, seasons by markrickerby. Bookmark the permalink.